A new account will be automatically created at the same time that your first order is placed. You can login using your email address and password. The following are the most common issues encountered while logging on. Forgot your password? Go to the login page and then click on Forgot your Password? or click here, and follow the prompts. A link to reset your password will be emailed to you. Simply click that link, and then create a new password. Forgot your member ID? If you have placed an order on our new system, our member ID is displayed within your online account – click here to log in and view your account. It is also printed on your membership card. If you do not have a discount card please call us at 262-483-1671 or email at wiclassicgolf@gmail.com and request your membership ID. Your email address has changed? Sign in using the old email address and then update your account information using the My Accounts page. It is easy to order a package for yourself. Follow the steps shown here and the web site will prompt through the process. It is easy to order a package for another golfer. Follow the steps shown here and the web site will prompt through the process. If your golfing partner changes from time to time, you can order a package in the name of a guest. Just follow the instructions for ordering for yourself and another golfer. When entering the name for the other golfer, use your last name <MyLastName> + Guest. If you are ordering for multiple guests, then use <MyLastName> Guest #2 etc. If you want to receive a brochure, send an email requesting a brochure be mailed to you with your name and address to wiclassicgolf@gmail.com. If you lost your brochure and want a course listing and order form that you can fill out and mail in, send an email to wiclassicgolf@gmail.com requesting that the course listings and order form be emailed to you. You can redeem a gift certificate or voucher when you purchase a package for yourself or a friend. Log into the web site and add any number of packages to your shopping cart. On the checkout page, you will have the opportunity to redeem gift certificates. Just enter the voucher number and click Apply Discount. You can keep your account information up to date using the Account Management page. You can change your password, email address, mailing address, and phone number. You will be immediately taken to your “My Account” page. Click “Account Details” to update other details for your account such as name, email address and password. If your card was lost, stolen, or damaged – you can get a replacement card. Cost depends on the package being replaced. Please call 262-483-1671 to request a replacement card. A new card will be mailed to you promptly once replacement fee is paid. What does ARI stand for? 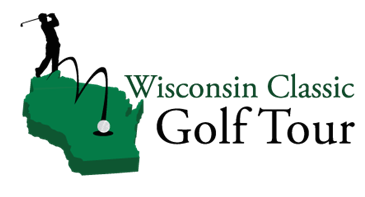 Courses designated as ARI, if they are running a special price that is lower than the discount on your Wisconsin Classic Golf Tour card, will give you a $5.00 discount off the lower price — guaranteeing you the best price possible for that course.